The famous philosopher Socrates’ death in 399 B.C. is an eye-opener to the danger that lurks along roadsides, cultivated fields, pastures and streams throughout Indiana. A drink made with poison hemlock was used to terminate his life. 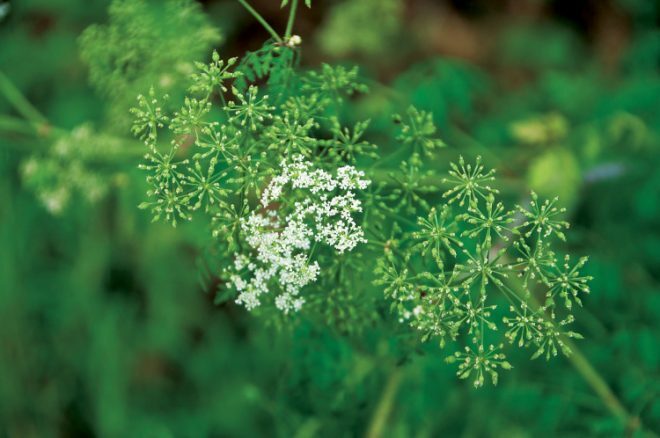 Poison hemlock (Conium maculatum), a highly toxic weed originally brought to America from Europe as an attractive garden plant, has now become extremely invasive here. All parts of this noxious weed are toxic and can affect cattle, horses, sheep, goats, dogs and even people. Ingesting even small amounts can be lethal. Many don’t know how to identify this killer, but now is a prime time to educate yourself so when spring arrives you can start to eradicate this threat before it affects your animals or families. In the first year of this biennial’s growth, the plant has a rosette shape and looks a lot like a fern. In its second year, it produces flowering umbrella-shaped blooms of white flowers, similar to elderberry, which bloom at the same time, or Queen Anne’s lace. However, this weed grows up to 8 feet tall on large, hairless, hollow stalks, which have purple spots or blotches. Its leaves are finely divided, like fern, in an arrow shape. Following its bloom, it sets seed and continues on its path of profusion. Each plant can produce up to 38,000 seeds, which can remain viable for up to three years, invading large areas. Numerous articles and images are available online to research poison hemlock, which will help with identification. Poison hemlock can be controlled in small areas around the home, but extreme care should be taken when removing it by hand. Wear rubber gloves and use cutters that can be washed in soap and water. Cut the plant into small portions and place in bags to set in the trash. Never burn this plant as the smoke can also be hazardous to health. While ingesting the weed is the greatest danger, it is also toxic to the skin and respiratory system. Larger areas of infestation will need to be eradicated with chemical agents. Recommendations for what chemicals to use can be found at ag.purdue.edu. It is important to eradicate this toxic plant, and it’s far better to be safe than sorry. My Indiana Home is produced for Indiana Farm Bureau members. 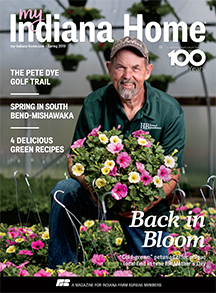 Our mission is to connect you with the food you eat, the Indiana farmers who grow it and a rural lifestyle that is uniquely Hoosier.